TheUnlockr.com is the number one source for how to videos for cell phone users. The site also features news and in-depth phone reviews and has an extremely loyal (and ever growing) reader base. Their readers are early adopters, highly educated, very motivated, and in some cases are software developers or blog owners themselves. 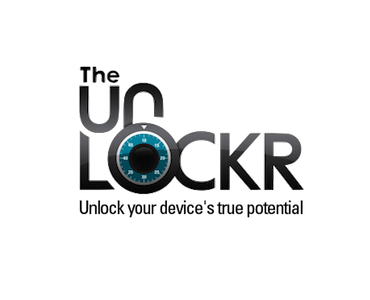 TheUnlockr.com has been linked to by all of the major tech news sites including Gizmodo, Engadget, BoyGeniusReport, CNET, TmoNews, as well as many others. In addition to the top news sites linking to them, all the major sites for cell phone developers have linked to them as well; XDA-Developers, AndroidForums, ModMyMobile, HowardForums, etc. Description: This is an opportunity to brand an upcoming post with your company logo, a short description about your product/service/brand, and a link to your page. An example would be a “How-To” post, which would lead in with [Your Logo] “This is brought to you by XYZ Company(URL), they do ______.” This comes with an optional roadblock of all four ad spots on that particular post for increased branding and engagement. Requirements: Product or service must be relevant to TheUnlockr.com community. Please provide a short description (under 15 words), a small logo, a link, and any other relevant information for approval. Description: This is an opportunity to sponsor a post that is about your phone-related product or service. This will be directly engaging a large audience interested in cell phones, mobile tech and apps. This comes with an optional roadblock of all four ad spots on that particular post for increased branding and engagement. Requirements: Your product, service, or company must be very relevant to TheUnlockr.com community. Please provide enough information and links to do a complete writeup upon approval. Description: This is an opportunity to sponsor an upcoming video created by TheUnlockr.com staff. This will include an lead in sponsorship message mentioning your product or brand by the video host, a video banner, and link to your page. Requirements: The product, service or brand must be very relevant to TheUnlockr.com community and website. Please provide information about your brand or product, desired video banner, and any relevant links.